The potential to increase picking of logistic processes, speeds and thus for durable reduction of costs is extraordinarily high. Both manual and automated warehouses can be optimized with better procedures and visual stock organization systems. 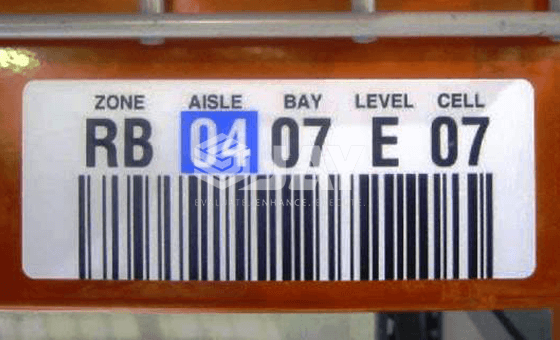 Warehouse rack labelling is done and the staff productivity increases significantly due to fast and safe storage, retrieval of goods and relocation of goods. Order pickers and forklift drivers are directed in the shortest time to the correct storage location. The solution is clearly understandable control system, which can be quickly and easily implemented. This makes the level of investment for the visual warehouse organization particularly low. The systematic numbering of all locations, known as the number codes, is the basis and prerequisite for efficient warehouse organization. The sign/label is marked for the identification of the products. Each location receives a clear and unmistakable coding, which consists of at least three coordinates: racking row, longitudinal position & height position. 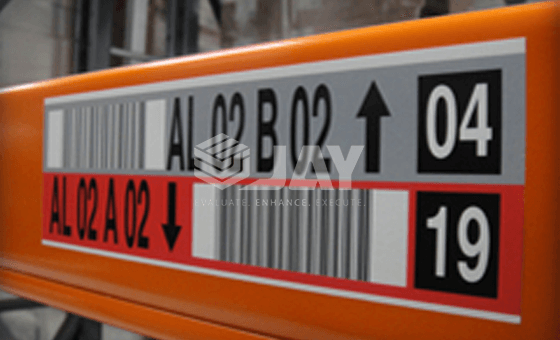 The print of further information is possible for e.g., storage areas, control numbers, bar codes, positioning arrows.